Sugarcraft, whilst very creative and satisfying, can be a very expensive hobby. As a teacher of sugarcraft I try, when writing my courses, to ensure that my students do not incur too may costs. Where possible I use the same cutter for more than one type of flower or do away with cutters all together. This method for making sugar roses does not use a cutter at all. 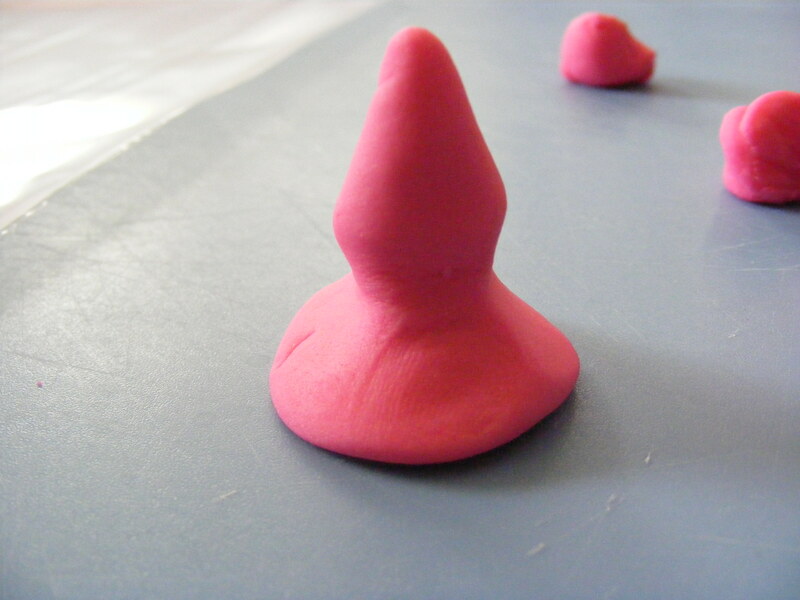 Form a cone shape with a flattened bottom from flowerpaste. 2. Roll out balls of flowerpaste and place between the polythene sheets. A plastic document wallet is perfect. 3. Flatten the balls between the sheets then thin one edge of each ball with your thumb or the end of a small rolling-pin. 4. Wrap the petals around the cone, ensuring the cone is completely covered. Overlap each petal. 5. Continue to add petals until you have a full rose, usually 7 petals will suffice. Pull the petals into the desired shape then cut of the excess flowerpaste under the rose with a sharp knife. This type of rose is generally used then the roses are being applied directly to a cake. You do not need any cutters unless you want to add a calyx. 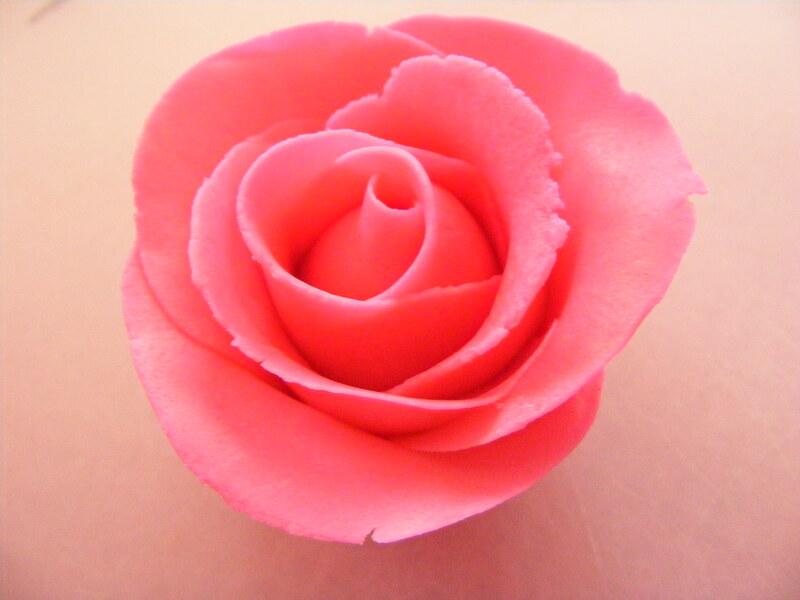 You can make these roses with sugarpaste instead of flowerpaste but they tend to be more brittle and fragile if you do. This method for making roses is very simple and produced some very rustic, natural roses. The draw back with them, however, is that no two roses are the same. This makes it very difficult for you to work out how many flowers you will need to make for your chosen design. Having said that, they are simple enough to make if you don’t have enough! Hope you find this blog useful!